Singles and couples alike can enjoy all the benefits of town living – with some great purchase incentives – at Pickstock Homes’ unique development in Oswestry. “The Carriages” in Gobowen Road offers iconic design within a stone’s throw of shops, restaurants and pubs in this attractive Marches border town. The latest phase of this high quality, contemporary scheme – four townhouses – is now on the market, each with their own dedicated parking. There is the option of either part exchange, £200 a month off mortage payments for two years or a shared equity purchase scheme. If none of these appeal, how about renting for 12 months and getting this back towards your deposit for a mortgage? The innovative design incorporates well planned and spacious rooms with open plan lounges and floor to ceiling glazing, providing a light and airy lifestyle. 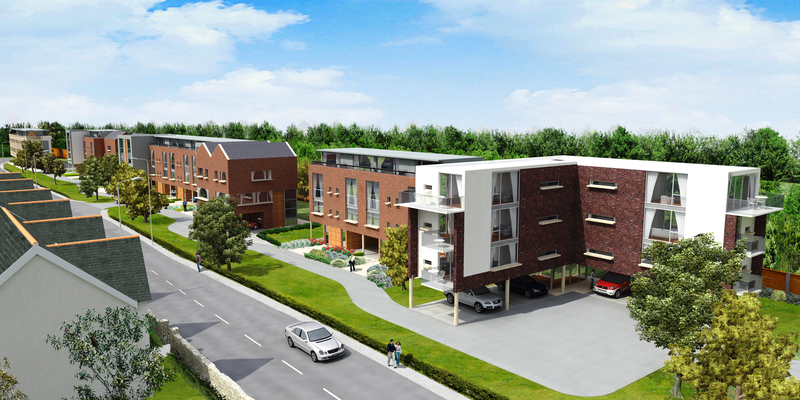 Balconies, with views to surrounding countryside, and double height spaces are innovative features of the development. The three bedroom houses are competitively priced at £179,000.